A facelift rejuvenates the lower face and neck by pulling loose, heavy tissues from the jowls and the neck up and back. Once this is done, the excess skin is trimmed away and the result is a younger looking, fresher face. How would I be helped by facelift? With advancing years the tissues of the face tend to descend with gravity. Typically the jowls and neck become heavy and this gives a rather square appearance to the face rather than the heart-shaped appearance which characterises youth. From the side, the angle between the jaw and the neck is lost with time. Facelift restores the definition of the jaw from the front and the side and this may ‘wind the clock back’ by 10 years or more. Facelift will not improve the quality of your skin and it will not deal with pores or fine wrinkles especially those around the lips and eyes. Other treatments to improve the quality and thickness of your skin (creams or peels) may be helpful to fully rejuvenate the face. Eyelid surgery is frequently combined with a facelift to rejuvenate the eyes. One of the most important aspects of surgery is your consultation. Your surgeon will listen carefully to your concerns and discuss what you want to achieve. It is not unusual to combine facelift with operations to freshen the eyes (blepharoplasty), or brow (browlift) in order to provide a completely rejuvenated outcome. The operation itself is done while you are asleep (general anaesthetic). It takes approximately 2-3 hours but your operation may be longer if it is combined with other procedures. You can go home usually on the day following surgery. A surgical cut is made along the hairline in the temple, and continued down the front of the ear, around behind the ear and into the hair bearing skin behind the ear. From here the skin of the cheek and upper neck is separated from the underlying layers. 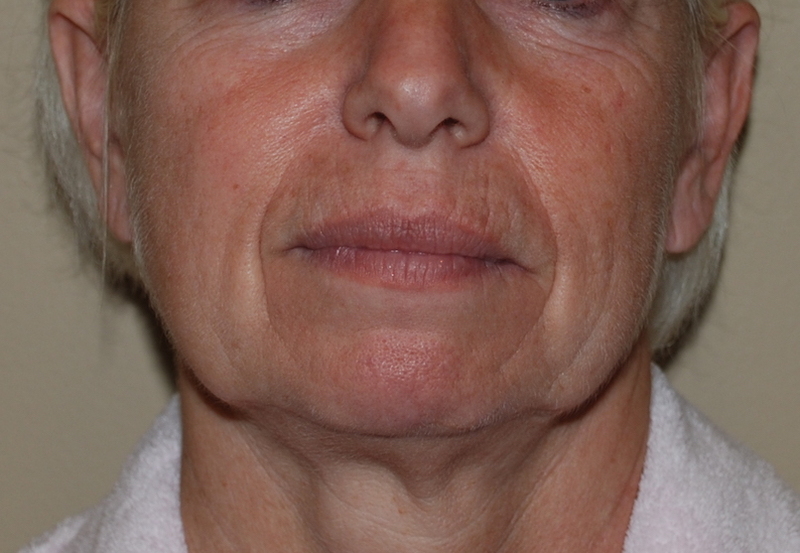 Once this is done, there is a membrane layer in the cheek (‘SMAS’) which is tightened with stitches - this manoeuvre lifts the loose skin and tissues of the jowl and neck. The skin is laid back down and the excess is trimmed away. The skin is stitched neatly with an absorbable stitch, hidden under the skin. No dressings are necessary. A drainage tube is left on each side until the following day. Frequently it is necessary to do a small amount of liposuction or to tighten the ‘platysma’ muscle in the neck under the chin and the jawline (neck lift). This involves an extra surgical cut just under the chin. After surgery you should plan to have a quiet week at home and aim to sleep in a propped up position for 10 days. You must also avoid bending over or stooping - if you need to pick something up, do this by bending the knees and keeping your head upright. This to minimise bleeding or bruising after surgery. Bruising and swelling is usually obvious and takes approximately 3 weeks to settle. Some residual swelling will subside more slowly for a number of months. Swelling can occur in an non symmetrical manner and this can be a source of worry about the final outcome of surgery. 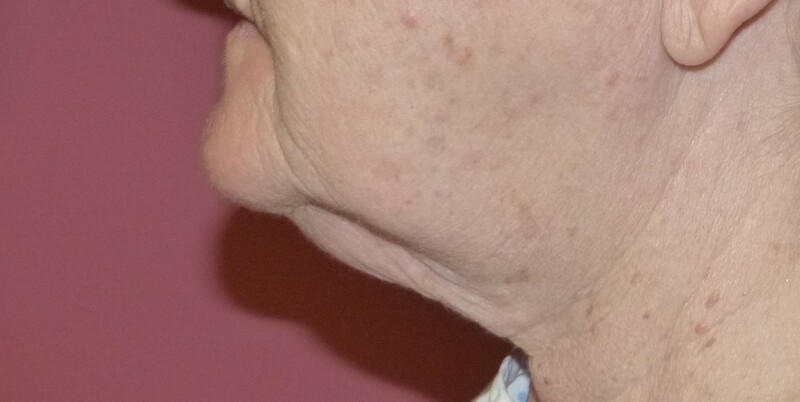 Once the swelling subsides, significant asymmetry is uncommon. The skin on the cheek and neck will be numb for several months but this should return nearly to normal. Rarely patients may experience tingling or discomfort as the nerves to the skin recover but this is unlikely to persist in the long term. What problems can occur with Facelift? This is quite a long general anaesthetic operation and, in common with all general anaesthetic procedures there are potential dangers to general health. Chest infections and blood clots in the legs or lungs are amongst possible problems but these are still rare occurrences. It is possible to have bleeding after surgery which may require return to the operating theatre. Infection of the wound or of deeper tissues can occur occasionally and it is also possible to develop a sterile collection of fluid (‘seroma’). Rarely the undermined skin on the cheek can lose its blood supply and this results in blistering or even loss of some areas of skin. 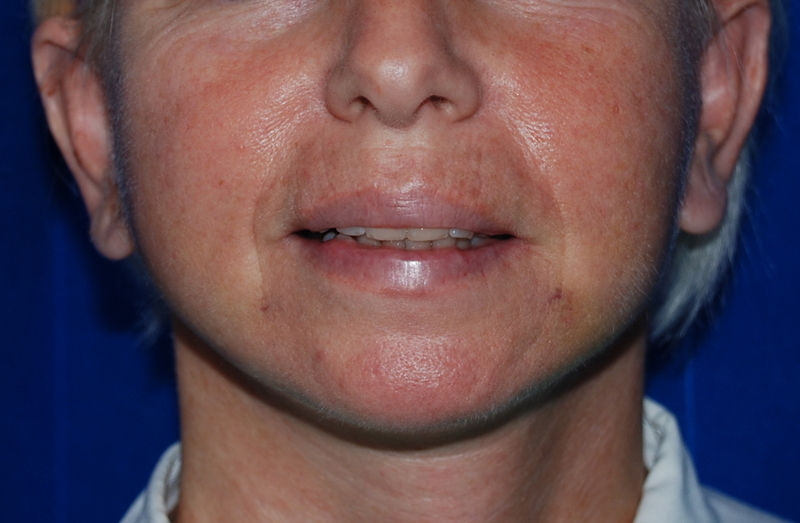 The result of this is scarring or altered pigmentation. Nerve injury: The facial nerve controls the muscles of expression. There is one on each side of the face. It is deep under the cheek next to the ear and fans out into a network which comes closer to the surface near to the middle of the face. There is potential for this to be damaged by any sort of facial surgery but in the context of face lifts this is very rare - the risk of permanent damage is approximately 1:1000. If the nerve were to be damaged, this could lead to drooping of the mouth or an inability to raise the eyebrow or close the eye properly. From time to time, there may be some weakness after surgery which reflects some bruising or stretching of the facial nerve and this typically would recover within a few weeks. There is a sensory nerve to the ear (greater auricular nerve) which can be damaged - if this occurs there will be a patch of numbness on the surface of the ear. There is no deficit in function but it is possible to develop a painful lump in the cut nerve (‘neuroma’) which would require further treatment to resolve. All faces are slightly asymmetrical and it is common for patients to look more critically at their faces after surgery. 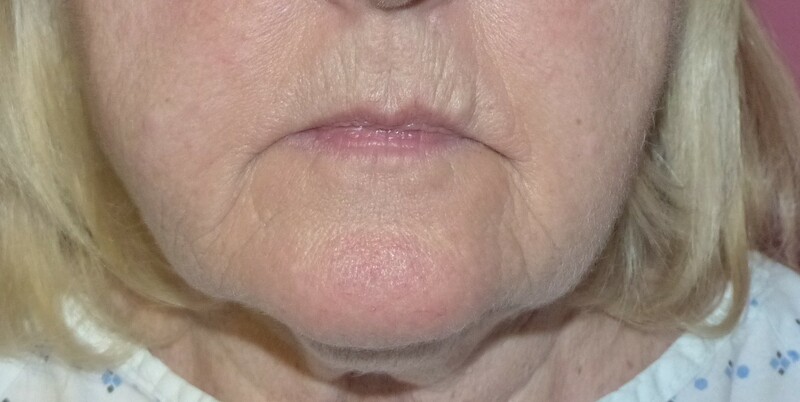 It is likely that subtle asymmetry will be observed after facelift but it is unusual for this to be significant or observable by normal acquaintances. Despite this long list of potential hazards, surgery almost always proceeds smoothly and the majority of patients are delighted with the results of facelift surgery. Scars are disguised by placing them in natural folds of the skin or in the hair. 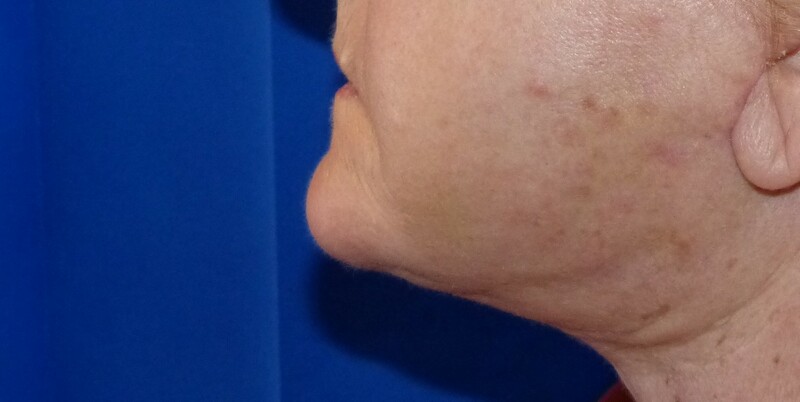 Scars usually settle and mature within 6 months and become very subtle. Sometimes scars can become firm, raised lumpy or red and take longer to settle. This is hard to predict - it may be a response to some infection in the wound but it is more likely to be your own natural response to surgery. It is usually possible help with the maturation process if the scar is problematic. Hair growth can be reduced around a scar and this may make it more noticeable especially if hair is worn short. The excess skin has to be cut and rouched when the facelift scar is stitched, this can leave a small fold (‘dog-ear’) in the behind the ear. In most cases this settles but a small additional local anaesthetic procedure may be necessary to deal with this. Can the face drop again? Gravity and ageing are constant forces so the face will eventually start to drop again. The operation does not arrest or change the rate of the ageing process, it merely sets it back. You must give up smoking 6 weeks before surgery because it affects the blood supply to the skin and the the healing wound. It also increases the risk of chest infections and coughing after surgery which could be dangerous to your general health and also trigger bleeding. In the longer term, smoking (and also sun damage) is a significant cause of skin ageing; continuing to smoke will mean that the results of your surgery will not last as long. Are there other types of face lift? 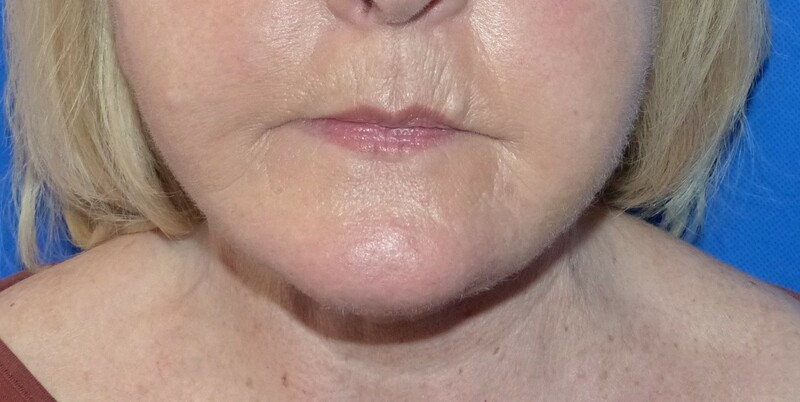 For patients with very early signs of ageing, it may be possible to lift the face using more minimal techniques, and awake surgery (local anaesthetic). This can be done by tightening tissues directly or by suspending tissues with buried threads ('thread' or 'silhouette' lift).